Editorial courtesy of Steve 'Flash' Juon. For many of you reading this column, watching these videos and listening to these songs, 1985 will be a completely foreign concept. Even people who are just hitting 20 right now were born 10 years after every single song that you're going to check out in this list. For me it's a step back through a time machine to an important point in my life. I had only discovered rap music and hip-hop culture a couple of years earlier, and at that point in my life things could have swung either way. I was still a child of the Casey Kasem Top 40, and if you looked through my cassette tapes you'd have found more Styx and Van Halen than Fat Boys and Whodini - but that was changing rapidly. Hip-Hop music was on its way to taking over the landscape, and though media pundits would try to bash it over and over again, the feeling was spreading that rap music wasn't just "a fad" - it was an artform more than a century in the making that had spent the last decade growing into a commercially viable mainstream product. Here then thanks to the archival qualities of the internet are ten songs that may be older than you are, but which hip-hop music and culture owes a debt to as critically important to keeping the momentum of rap going as it became more and more widespread and took over even isolated little pockets of hell like the rural Midwest whence I dwelled. Keep in mind that these all came out three years BEFORE "Yo! MTV Raps" was even a thing, and yet hip-hop was too big at this point to slow down - something the well deserved #1 video on this list strongly addressed. 1.) Run-D.M.C. - "King of Rock"
2.) Kurtis Blow - "If I Ruled the World"
3.) Marley Marl & MC Shan - "Marley Marl Scratch"
4.) UTFO - "Leader of the Pack"
5.) Force MD's - "Itchin For a Scratch"
6.) Grandmaster Melle Mel & The Furious Five - "Pump Me Up"
7.) 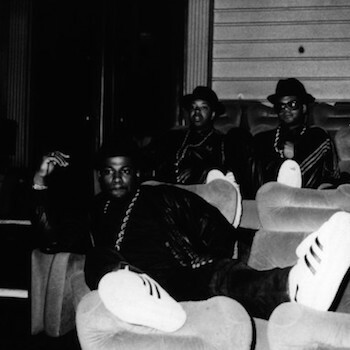 Run-D.M.C. - "Can You Rock It Like This"
8.) Whistle - "Just Buggin'"
9.) LL Cool J - "I Can't Live Without My Radio"
10.) Beastie Boys - "She's On It"